After Matthew Guy was caught having lobster with a 'mobster' last week, managing editor Dave Donovan examines the Calabrian legitimate business community's links to the Government and its top five Liberal Party friends. 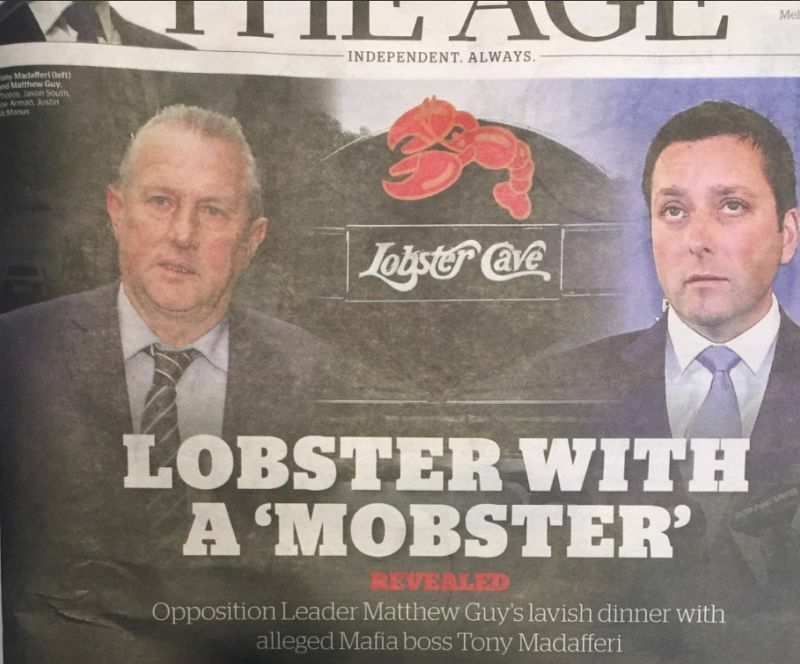 NEWSPAPER HEADLINE WRITERS had a lot of fun last week when Victorian Opposition leader Matthew Guy was caught in a lobster restaurant with alleged mafia godfather Antonio “Tony” Madafferi and several other alleged crime figures. "LOBSTER WITH A 'MOBSTER'” was one they came up with; another was "blunderbelly". Anyway, Matt “Wise” Guy said he had no idea Tony Madafferi was going to be at the Lobster Cave. Funnily enough, this was pretty much exactly what he said the last time he was caught hanging out with Madafferi, at a 2013 Liberal Party campaign fundraiser bankrolled by the Calabrian-born businessman. Unfortunately, Guy’s Liberal Party consigliere at the Lobster Cave, Barrie Macmillan, soon blabbed to the press that Guy did, in fact, know who was going to be at the dinner. Oops! And then it emerged that Liberal Party Dunkley branch secretary Macmillan was a convicted criminal and been secretly recorded discussing how to quietly funnel donations into the Party from these legitimate businessman. Awkward! Of course, all of this is a storm in a wine glass. The Liberal Party, especially in Victoria, have long been friends with certain prominent Calabrian families. It is absurd that Matthew Guy should have to go cloak and dagger into the smoky backrooms of seafood restaurants to sip Grange Hermitage, and discuss matters of mutual benefit with respectable fruit shop owners like Madafferi. Sure, Tony Madafferi may have been named as a suspected hitman in two coronial inquests, but he has never been charged. Aren’t we all entitled to the presumption of innocence? Clearly, Fairfax agrees that Madafferi is a hard-working Family man with no convictions. But nevertheless, he is still subject of salacious rumour and gossip about his alleged role in an international crime racket, involving blackmail, extortion, drug trafficking, gun running and contract murder. How he bravely carries on in the face of this smear and calumny is astonishing. Sure, maybe a few of Madafferi’s associates, including his brother Frank, have been convicted of some crimes here and there, but, like Peter Dutton said about those Border Force employees the other day, they are surely just a few "bad apples". The Liberal Party’s close links with Tony Madafferi and his Calabrian friends are, in fact, simply part of the its sincere longstanding commitment to multiculturalism. Indeed, the Liberal Party and the Calabrian business community are natural friends and allies. They have so much in common! For example, the Liberal Party loves hard working families. Well, who works harder than The Family? The Liberal Party always talk about “growing the pie” — the Calabrians invented the pizza! 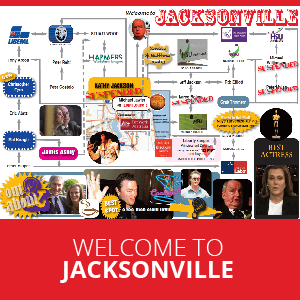 The Liberal Party hates unions, while the Calabrian not-mafia demand union free workplaces. The Liberals are “open for business” and the Calabrian legitimate business community love making deals — why, they might even make you an offer you can’t refuse! No wonder Liberals like Guy are happy to sneak into seafood restaurants to crack some shells with Tony Madafferi and his friends, and maybe ‒ or maybe not! ‒ talk about one or two (perhaps more) small, absolutely no-strings attached donations. Independent Australia would like to rectify some of the reputational damage done to several very honest and decent Liberal Party politicians simply through association with this beset upon minority. So, in honour of Matthew Guy, IA here presents the top five Liberal Party friends of the Calabrian business community. Prime Minister Malcolm Turnbull doesn’t seem to have a problem meeting with Calabrian businessmen to discuss Liberal Party donations and business opportunities. For instance, soon after he became Opposition Leader in 2008, the now PM had a lunchtime meeting in Melbourne with Tony Madafferi and other “Liberal Party donors”. It was organised by Liberal MP for McMillan Russell Broadbent — as so many of these sort of meetings seem to be. Acquaro was the lawyer of convicted drug trafficker Frank Madafferi, Tony’s brother — although he had a falling out with him subsequently. Acquaro was, sadly, gunned down in Brunswick last year after a $200,000 contract had been reportedly placed on his head. Turnbull’s spokesman said Malcolm remembered the “fundraiser lunch” for “a number of Mr Broadbent's local supporters", but did "not recall the names of Mr Broadbent's guests”. The staffer however said Turnbull did recall “a meeting to discuss energy-efficient lighting with a businessman” who was an associate of Madafferi and Acquaro. No details about how much money was raised at the event were disclosed. Former environment minister and current Health Minister Greg Hunt, who didn’t quite make our top five wise-Guys, deserves an honourable mention at this point. In 2005, Hunt also met Acquaro and Tony Madafferi at a private meeting with senior Liberal MPs in Parliament House. In May 2016, a spokesman for Hunt said he "had been introduced to Mr Madafferi over a decade ago". Who introduced them? Russell Broadbent, of course. You thought Bruce Billson was only famous because he is a former small business minister who then got a job as a business lobbyist whilst still sitting in Parliament? Think again! Because in 2004, bubbly little Brucie, along with Defence Minister Marise Payne and (who else?) Russell Broadbent, attended a fundraiser organised by Tony Madafferi after meeting with political donors linked to him. Bruce, along with Payne and Broadbent, were also among a number of MPs who contacted then Immigration Minister Amanda Vanstone in 2003 and 2004 to secure an Australian visa for Tony’s violent convicted criminal brother “Mad” Frank Madafferi. In 2015, Billson admitted to Fairfax that he had lobbied Vanstone on behalf of a ‘Liberal donor and relative of Frank Madafferi’ who had 'deceived' him by not telling him about Frank’s criminal activities. 'The request made of me for assistance … was a contrived veneer covering a far darker and disturbing situation', lamented Billson. Clearly, it was impossible for Billson to discover for himself that the reason Frank Madafferi was desperate not to return to Italy was because he had fled from there after being sentenced to multiple gaol terms for such offences as stabbings, drug crimes, gun possession, extortion and criminal conspiracy. Billson went on to say in a statement he had 'ceased contact with all parties involved and stridently expressed my bitter disappointment' to the Liberal donor. Frank Madafferi was charged with large scale drug importation in 2008 and convicted in late 2009. Defence Minister Marise Payne is also on good terms with the Italian business community. For instance, in 2003, Senator Payne was approached at a charity function by Italian-Australian businessmen Pat Sergi, Tony Labozzetta and Nick Scali about assisting Frank Madafferi to obtain a visa. Payne made contact twice with Immigration Minister Vanstone on behalf of Frank — in 2003 and 2004. Donation records show Sergi subsequently donated to the NSW Liberal Party in March 2004, and that companies owned by furniture king Scali donated to the Liberals in March 2003 and August 2004. Sergi was also named in the 1979 Woodward Royal Commission as being the money launderer of alleged drug importer and mafia godfather Robert Trimbole. Several of Mr Labozzetta's relatives have been named by NSW police as suspected mafia figures. In September 2004, Payne flew to Melbourne to attend a Liberal Party fundraiser organised by Tony Madafferi. Also there were Bruce Billson, Russell Broadbent and Immigration Minister Vanstone. It was a good night for the Liberal Party, with at least $40,000 being donated and Tony Madafferi himself donating $15,000. Despite the presence of Tony Madafferi and many of his associates, none of the three Liberal politicians there, who had lobbied the Immigration Minister on behalf of Frank Madafferi, nor Immigration Minister Vanstone herself, recalled the visa issue being discussed at the function. Like Billson, Payne later said she "had no knowledge, or any cause to be aware of, any criminal associations" of either Frank Madafferi or anyone who lobbied her on his behalf. Of course, none of her representations on behalf of Madafferi had anything to do with donations! NSW Liberal Party state director Mark Neeham confirmed donations had been received from the Madafferi family but said they were not "subject to political conditions of any kind". In 2005, then Immigration Minister Amanda Vanstone, after extensive lobbying, overturned a deportation order and granted a visa in 2005 to Frank Madafferi. Vanstone justified her decision to grant him a visa because of mental illness (his, not hers). Vanstone was, of course, famous for her generous displays of kindness in the immigration portfolio. Six months after Ms Vanstone overturned the Madafferi deportation order, relatives and associates of the Madafferi family, including Tony Madafferi, donated at least $30,000 to the NSW Liberal Party. Vanstone’s humanitarian gesture went slightly awry when, in August 2008, Madafferi was arrested and charged after the year before the AFP had netted the world's biggest ecstasy haul, having a street value of some $440 million. Nevertheless, presumably due to her unwavering support of the Italian community, after resigning from politics in 2007, Vanstone was appointed to be the Italian ambassador. In 2010, she gave a work experience job in the Embassy to the son of an alleged Adelaide godfather then under investigation for drug importation. Police later concluded that her Senate office had been infiltrated by the mafia, but not by, heaven forbid, that she was a mafia associate herself. 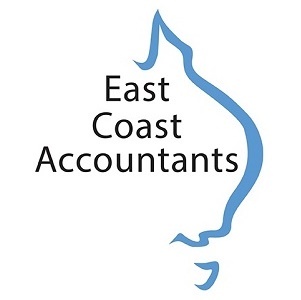 The name Russell Broadbent continually arises in connection with the Calabrian legitimate business community. Broadbent is good friends with Tony Madafferi and is happy to be photographed with him and his associates, unlike the painfully shy Matthew Guy. Clearly, Broadbent is good at raising funds for the Liberal Party from the Italian business community. As we have seen, Broadbent was instrumental in lobbying Amanda Vanstone on behalf of Frank Maddafferi and has organised a number of fundraisers with the Italian business network over the years, including at Parliament House itself. He also separately introduced both Malcolm Turnbull and Greg Hunt to Acquaro and Tony Madafferi. 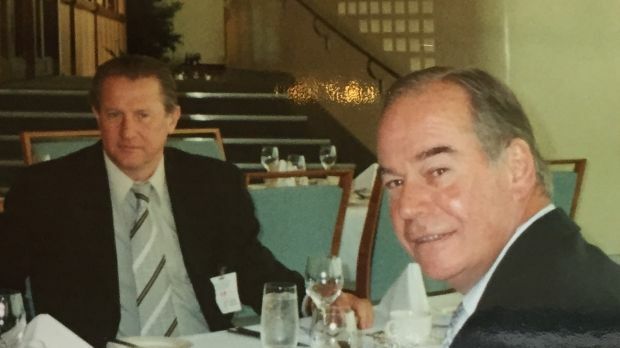 After the 2005 Hunt meeting at Parliament, Fairfax report Broadbent dining with Acquaro and Tony Madafferi, along with two of Mr Madafferi's relatives − also Liberal donors − in the Parliament House dining suite. Acquaro later said the meal was a "thank you" for donations to the Party. Afterwards, Acquaro and Tony Madafferi went off and had a meeting Luigi Pochi, a convicted drug dealer named in the Woodward Royal Commission. All in a day’s work! … in regard to Tony Madafferi, in regard to Tony Madafferi, I would say that if he has transgressed the law, he should face the full force of the law and be charged. But outside of that, I would say to yourself and the rest of the community, we have the rule of law in this country. It attends to everybody. Everybody comes under the rule of law of this country. And If you have transgressed the law, you should be charged and face the full consequences of the law. Simple as that. Well said Russell Broadbent. Tony Madafferi is an honest hardworking Melbourne greengrocer and everything else is mere scuttlebutt and innuendo. You should be commended for your close attention to the rule of law. Broadbent is still a Federal MP and still working away to bridge the gap between hard working Calabrian families and the Party. And if a small donation should happen to come his way as a result, well, surely this is just a sign of a job well done? Well done Russell Broadbent. You are Australia’s number one Liberal Party wise-Guy. 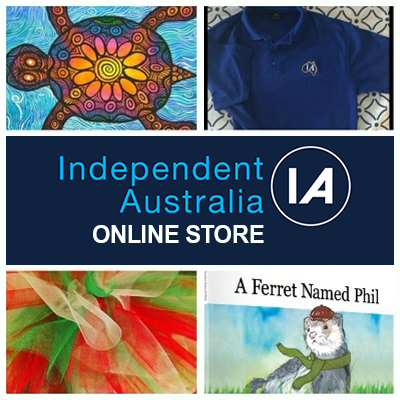 Join the IA family. Subscribe today.